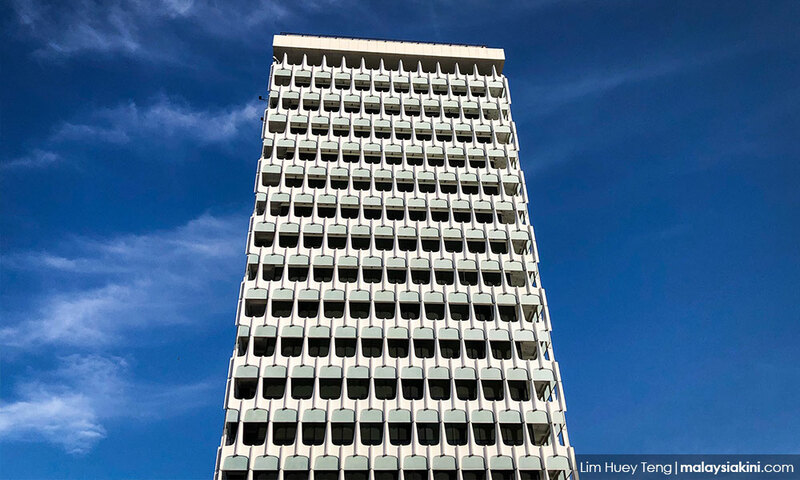 LETTER | Last week the de facto law minister Liew Vui Keong announced that a large number of laws (100) will be abolished or amended at the next Parliamentary sitting in March. Mainly repressive laws. He said much the same thing last year for the October Parliament session. Nothing materialised. Naturally, an element of cynicism has crept in. This time though, the minister disclosed he personally chaired sessions with all the ministries, government departments and agencies. That sounds reassuring. If all goes as announced we are in for a major repair to our democratic ethos. To accord indeed with the dawn of a responsible, transparent and rule of law- based “new Malaysia”. A departure from the old – where under just the Sedition Act, there was an all-time record of about 170 charges in three years between 2013 and 2016. Mainly against activists and activism. Lawyers for Liberty says that in 2015 alone, during the peak of Najib Abdul Razak’s sedition crackdown, about 91 people were arrested, investigated or charged for sedition. About five times more than the entire total for the previous 55 years of the law’s existence under five prime ministers. It was this kind of abuse that Pakatan Harapan in its campaign riled against. And drew huge support from angry voters hungry for change and an end to tyrannical threats. Liew said the long list scheduled for overhaul was submitted based on the Pakatan Harapan manifesto and the 11th Malaysia Plan (RMK11). Conspicuously missing from the process was prior consultation with stakeholders. Surely a vital element to ensure well-balanced changes, and to prevent subsequent objections that could well derail or delay the acceptance of the changes. Under the past regime, there was a severe disjuncture between the fundamental rights promised by the constitution and their steady undermining by the state. Through coercion and silencing of dissent and counter-narratives. Through a complex web of repressive laws. The commitment of the new government to the rule of law is a refreshing response. But its chant rings hollow unless our legal architecture is wiped clean of these pernicious laws. Like the hurriedly enacted Sosma – proclaimed as an anti-terrorist law when debated. But used, for example, to detain Bersih chairperson Maria Chin Abdullah on the eve of a Bersih rally. Its draconian procedural sweep, servicing several other laws, authorises detention without trial on the say-so of the police that the person is involved in security offences. Initial detention up to 28 days. No communication or visits allowed by family members or even a lawyer – again on the say-so of the police. And incarceration continues even after the court declares the person innocent on the mere oral application of the public prosecutor. Right until the entire appeal process is over – which usually takes years. This sits ill with the rule of law promise. It is rule by law. Then there are laws that embed opaque and vague terms to criminalise acts. For example, the Communications and Multimedia Act creates an offence to forward online messages which are obscene, indecent, or offensive; and sent with the “intent to annoy, abuse, threaten or harass any other person”. What amounts to annoyance? Who decides? For which reason, many courts worldwide declared similar provisions unconstitutional as violating the freedom of speech. The rogue provision – section 233(1)(a) – was routinely employed in the past to charge radio journalists, news outlets, online whistle-blowers, political analysts, activists and Facebook users. Cartoonist Zunar amongst many others faced numerous charges which, if followed through, would imprison him for the rest of his life. How does it accord with the rule of law? Incredulously, the pro-Sedition Act lobby seeks to shore it up with specious arguments: seditious to even ask for its repeal, and that the law could not be changed without the consent of the Conference of Rulers under the constitution. But then the law existed well before the constitution came into force. And the act itself does not prohibit its questioning. Indeed, the institution of the rulers and quotas for preferred groups are well-insulated from abuse by sufficient laws in our legal armoury. Much the same can be said of the litany of laws that need to be scrapped or altered - Pota, Poca and the like. And the University and University Colleges Act – which impairs academic freedom and autonomy. Under which students have been disciplined for the omnibus clause: “tarnishing the reputation of the university”. Recall how most condemned the flurry of repressive laws enacted just before the last elections, designed to eliminate an effective contestation to the BN rule. Among these the National Security Council law. Which gives the PM the power to declare an area as a security zone within which all laws and fundamental freedoms would be suspended. Our prime minister-elect then challenged the law as being unconstitutional. The suit remains in the court list. Isn’t it easier now for the government to repeal this law? What is being urged is that the “rule of law” must not be just a convenient prop - relying on the form rather than its content - to justify the perpetuation of past laws to assuage the demands of the law enforcers, or to respond to mob populism. The police have, and can, function better under time-tested laws such as the Criminal Procedure Code and the like that operate within a democratic ethos. The writer is president, National Human Rights Society (Hakam).